Hit Coin Trade Review: “Market cryptocurrency” = 72% ROI in 3 days? Hit Coin Trade provide no information on their website about who owns or runs the business. The Hit Coin Trade website domain (“hitcoin.trade”) was privately registered on November 21st, 2017. This is supported by a UK incorporation of Hit Coin Trade Limited. Hit Coin Trade Limited was incorporated in the UK on December 1st, through a residential address in London. Ellis Davidson is listed as the sole Director of the company. No information about Ellis outside of the Hit Coin Trade Limited incorporation exists, casting doubt on whether this person exists. UK incorporation is dirt cheap and for the most part unregulated. They are a favorite for scammers looking to incorporate dodgy companies. Whoever is actually running Hit Coin Trade is likely Russian and/or based out of Russia. Supporting this is the Hit Coin Trade website defaulting to Russian and native use of rubles. Russian Hit Coin Trade social media profiles and a Telegram chat group are additionally provided. Alexa also identify Russia as the largest source of traffic to the Hit Coin Trade website (36%). Hit Coin Trade has no retailable products or services, with affiliates only able to market Hit Coin Trade affiliate membership itself. Hit Coin Trade affiliates invest bitcoin, ethereum, US dollars or rubles on the promise of a 124% ROI in 72 hours. Hit Coin Trade affiliate membership is free, however free affiliates can only earn referral commissions. Full participation in the Hit Coin Trade income opportunity requires a minimum 0.0003 BTC, 0.006 ETH, $1 USD or 60 ruble investment. We do not just sell on the market cryptocurrency, are engaged in professional traders with extensive experience in the investment market. For us and our partners Hit Coin Trade has always been associated with reliability. That’s certainly an amusing claim to make, considering Hit Coin Trade only launched a few days ago. More importantly, Hit Coin Trade provide no evidence of having “professional traders” or generating external ROI revenue. Furthermore Hit Coin Trade’s business model fails the Ponzi logic test. 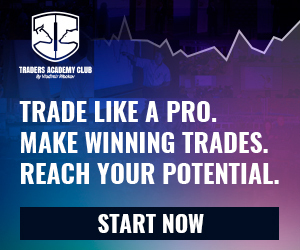 Even if the company has professional traders working, a legitimately generated 124% ROI every 72 hours equates to more than 15,000% annually (without compounding). If Hit Coin Trade was able to legitimately generate such a return, why would they be soliciting money from randoms over the internet? The only verifiable source of revenue entering Hit Coin Trade is new affiliate investment, the use of which to pay existing affiliates a 72 hour ROI makes Hit Coin Trade a Ponzi scheme. As with all Ponzi schemes, once Hit Coin Trade affiliate recruitment slows down so too will new funds entering the system. This will starve Hit Coin Trade of ROI revenue, eventually prompting a collapse. The math behind Ponzi schemes dictates that when they collapse, the majority of investors lose money. Vitalik Does Give ETH – But Who Receives It?